Drs. Josephine Esquivel-Upshaw and Abi Adewumi. UF College of Dentistry professors Abi Adewumi, B.D.S., FDSR, Department of Pediatric Dentistry, and Josephine Esquivel-Upshaw, D.D.S., M.S., Department of Restorative Dental Sciences Division of Prosthodontics, were both inducted as Fellows into the American College of Dentists, or ACD, at a ceremony on October 19 in Atlanta. 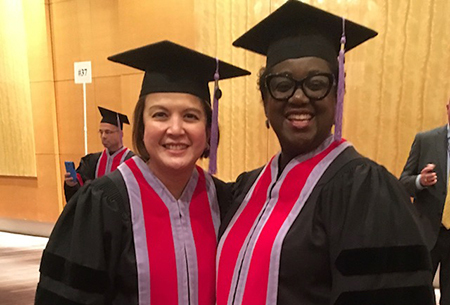 Adewumi and Esquivel-Upshaw, both highly-regarded experts in their areas, were honored as part of the ACD Annual Meeting and Convocation at the Atlanta Marriot Marquis Hotel. 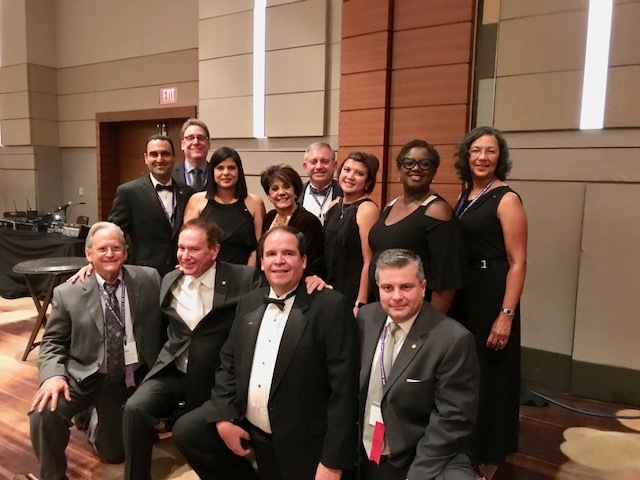 The mission of the ACD is to advance excellence, ethics, professionalism, and leadership in dentistry, and it is the oldest major honorary organization for dentists. Its members have exemplified excellence through outstanding leadership and exceptional contributions to dentistry and society. Drs. Adewumi and Esquivel-Upshaw pose with other inducted Fellows from the state of Florida.